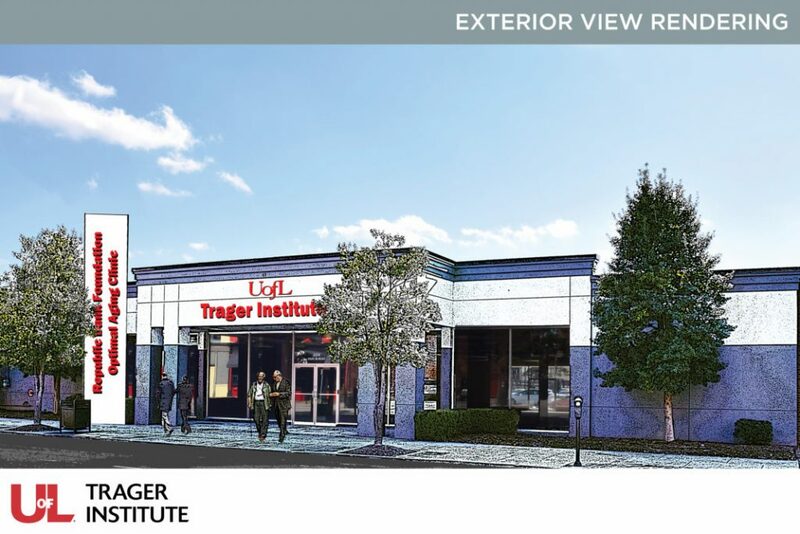 LOUISVILLE, Ky. — Renovation has begun on the new home of the University of Louisville Trager Institute at 204 E. Market St. Formerly the Institute for Sustainable Health and Optimal Aging, the Trager Institute will expand into the new space thanks to generous gifts from the Trager Family and Republic Bank Foundations. 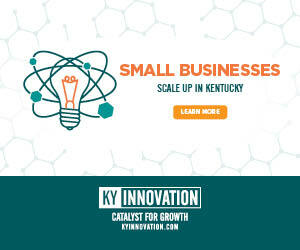 “Considering the importance of the eldercare industry to Louisville’s economic development, we are proud to partner with the University of Louisville. It is our hope that this gift will help develop a world-class conduit that eldercare companies can partner within research, innovation, and career development. Additionally, local citizens will become beneficiaries of the Institute’s efforts through the newly established Republic Bank Foundation Optimal Aging Clinic,” said Steve Trager, chairman and CEO of Republic Bank. The complete renovation is expected to cost $1 million. Located in what Louisville Metro Mayor Greg Fischer has dubbed the “innovation corridor,” the renovated space will accommodate the Institute’s leading edge research, care coordination, physical and mental health clinical practice and educational programming. “With this new facility, we will be able to conduct research and provide care in ways that transform our understanding of health care and aging. We are working to change the way health care is provided and focus on integrating lifestyle medicine that has shown to provide extraordinary benefits to achieving optimal aging,” said Anna Faul, Ph.D., executive director of the Trager Institute. The Republic Bank Foundation Optimal Aging Clinic will specialize in comprehensive care for the aging population. This clinic, organized using the latest best-practice health care model known as age-friendly Integrated Practice Units (IPUs), will help individuals achieve optimal physical and mental health as they age. IPUs involve an interdisciplinary team of physicians, nurses, physical therapists, dentists, pharmacists, social workers, chaplains, community health navigators, life coaches and lawyers to meet patient needs. These health care partners facilitate patient care related to physical and mental condition, along with outpatient, inpatient and rehabilitative care and social services. The clinic will provide a patient experience that focuses on lifestyle medicine, an evidence-based therapeutic approach to prevent, treat and reverse lifestyle-related chronic diseases. The space is designed to promote telehealth to homebound and isolated older adults. Multiple financial supporters are key to the successful work of the Institute. The clinical practice is bolstered by the financial support of John Wright, M.D., a geriatrician and professor emeritus of the UofL Department of Family and Geriatric Medicine. His $1 million investment — originally a bequest that he decided to pay during his lifetime — supports the John C. Wright Endowed Professorship on Aging for the benefit of the Trager Institute. His gift will help maintain the high quality of medical care by attracting the best geriatricians to enhance collaboration between the Institute, the Department of Family and Geriatric Medicine and other universities. In addition to clinical services, the new facility expands the research capacity of the Institute to expand the number of clinical trials it offers and technology development and testing. The innovative space will have a conference room equipped with video conferencing capabilities that allow researchers to collaborate on a national and international level. The space also will support the Trager Institute’s aging-care workforce development efforts with a multi-purpose training space. Other features of the space will include a fully operational kitchen for nutrition counseling and classes, complete with its own wall garden; a fitness area for community residents to participate in mindfulness sessions, yoga and other fitness activities; and space for physical therapy and audiology testing, when needed. Renovation completion is expected this summer.